I love the gospel of Jesus Christ. I have chosen to stake my life, all that I have and do, both in time and eternity, on this gospel. It is the gospel… the good news… of Jesus Christ that I want to live and proclaim. It is the gospel of the kingdom of God, the gospel of salvation. 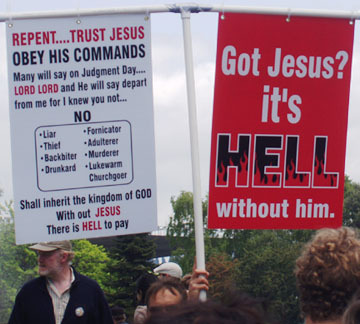 (1) Believe in Jesus or else you’re going to Hell when you die. (2) Believe in Jesus and you’ll get to go to Heaven when you die. 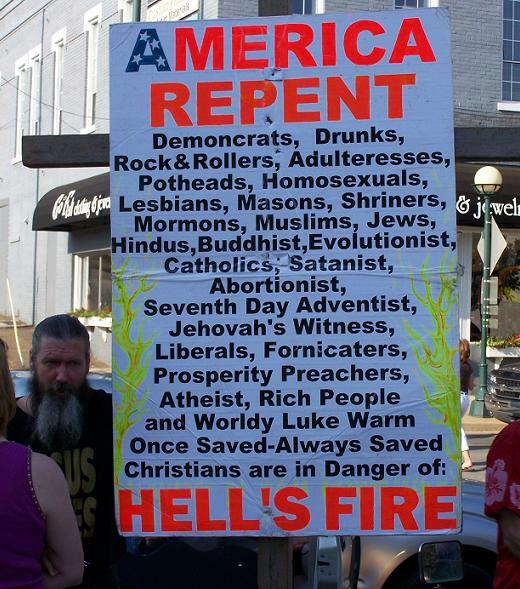 While I think these are basically true, I wonder if this almost singular emphasis on heaven and hell is somewhat missing the point of what Jesus said, did, and taught. 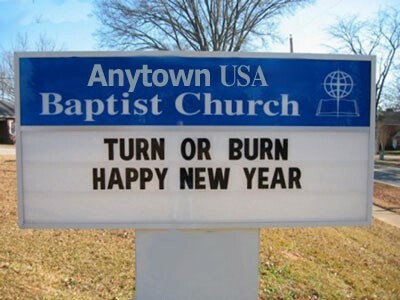 I wonder if it’s missing the point of what the early church said, did, and taught? 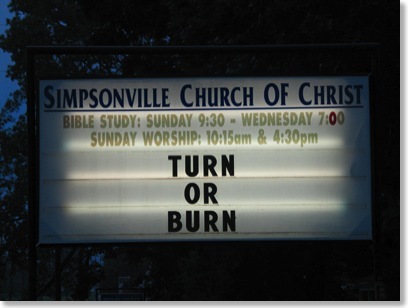 Is that message (above) really the gospel (good news) of Jesus Christ? Jesus consistently proclaimed a gospel of the kingdom of God (or the kingdom of heaven), NOT of heaven and hell (though he did mention them). Jesus (and his kingdom message) seem much more focused on the here and now than on the afterlife. Nowhere does Scripture exhort us to say a “sinner’s prayer” to “accept Christ” though these are terms we use frequently. Nowhere does Scripture exhort one to “accept Christ into your heart” or “as your personal Savior;” in fact, salvation throughout the whole of Scripture seems to focus on the US (the plural, people of God) and not the individual ME (though an individual response is entailed). Jesus and the Bible emphasize discipleship (FOLLOWING and LEARNING from Jesus), NOT going to heaven when you die. Salvation is meant to be the starting line and we tend to describe it as the finish line. Jesus and the Scripture indicate that Heaven IS the sure destination of our journey, but NOT the purpose of it. Most (can I say most?) people in the world today, especially in the rising generations, could give a rip if they go to heaven when they die. Not on their radar. They are concerned with justice NOW, meaningful community NOW, global poverty, the damaging of the environment, and the like. In short, I think that over time one element of the message of Jesus (the eternal destiny part) was isolated from the larger story of God and given prominence. And many thousands came to Christ through that message. But what is the fruit? Unfortunately, many have learned (and isn’t this what we have taught them?) that since they said the prayer, and their sins are forgiven, that they will go to heaven when they die. End of story. They are card carrying Christians with the Fire Insurance they need. But their lives are not necessarily different (really); they are not truly FOLLOWING Jesus Christ and living the lives that He has called them to live. The fear of hell or the promise of paradise do not necessarily lead people to LOVE GOD, or to radically GIVE UP THEIR LIVES for His glory, or to the LOVING and CHANGING of the world around us through the power and message of the kingdom that Jesus proclaimed.